Mark your calendar for Saturday, August 25. The ASA and the University of Illinois will be hosting the National Shorthorn Sire Text Field Day. 9:30 a.m. – 12:00 p.m. – Join us on the U of I campus for an educational program as we discuss the ASA Sire Test. Speakers include Dr. Dan Shike from University of Illinois, Matt Woolfolk from ASA and more. If you would like to join us for this event, please contact Matt Woolfolk to RSVP (matt@shorthorn.org). American Shorthorn Association staff attended the annual Beef Improvement Federation Convention last week in Manhattan, Kansas. Convention participants attended general sessions with industry professionals who spoke about the beef industry. The Young Producer Symposium was the first afternoon before BIF started. This event was designed to create a network for young cattleman and to help them gain knowledge as they work towards growing their role in the industry. The first official morning general session was titled “Opportunities for the Beef Value Chain: Can we become more coordinated and more profitable?” Speakers for the day included Glynn Tonsor and Ted Schroeder with Kansas State University, John Stika with a branded beef program, Brad Morgan with Performance Food Group, and Keith Belk with Kansas State University. The second morning general session was titled “Protecting producer profit for the future.” The speakers for the day included David Lalman of Oklahoma State University, Chip Ramsay of Rex Ranch, Mark Enns of Colorado State University, and Clay Mathis of King Ranch Institute for Ranch Management. The afternoons were filled with breakout sessions that focused on topics from beef-production to genetic-improvement. Convention participants chose the session that was most pertinent to their needs. Participants attended dinners at the KSU Weber Arena and Stanley Stout Livestock Marketing Center, which gave more ways for networking with people who are involved with all aspects of the cattle industry. ASA staff also participated in the International Genetic Solutions seminar that was before BIF. 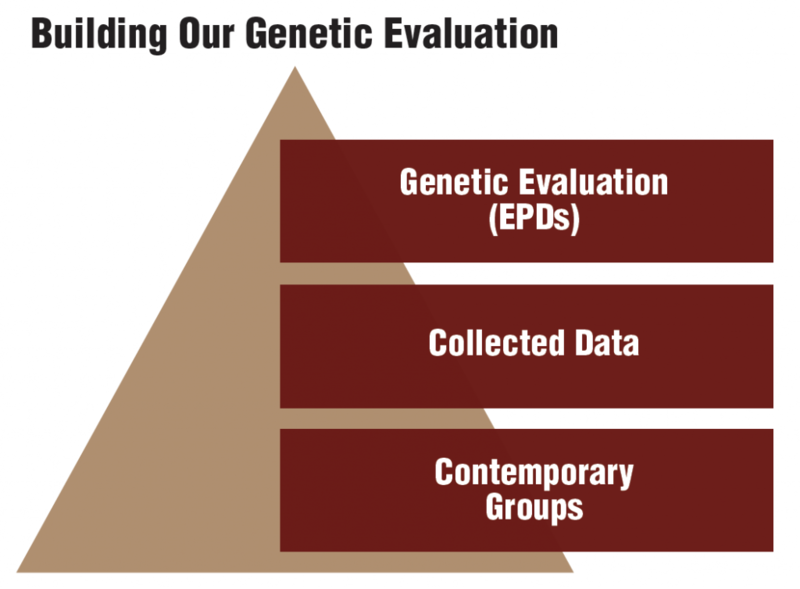 IGS is a collaboration of 12 breed associations that are working to put the progressive commercial cattleman first by creating genetic evaluation. Soules was among the panel of association leaders that spoke about the importance of genetic improvement. KANSAS CITY, Missouri, (April 18, 2016) – A dozen Shorthorn beef and dairy associations came together at the Conrad Resort in Punta Del Este, Uruguay for the World Shorthorn Conference and Council Meeting this month. Associations from the United States, the United Kingdom, Ireland, Australia, New Zealand, Argentina, Canada and Uruguay took part in the conference. Included in the speaker line-up were three U.S. industry experts. Dr. Mark Tallman, from the USDA Meat Animal Research Center, in Clay Center, NE offered two presentations on heterosis and genetics. Barry Jordan of Waukaru Farms in Indiana presented a session on Shorthorn getting marketing share. Montie Soules, CEO of the American Shorthorn Association in Kansas City, MO presented information on multi-breed genetic evaluation and international collaboration for Shorthorn performance genetic evaluations. 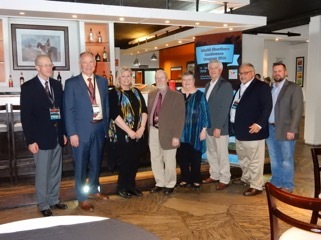 Other US attendees included past American Shorthorn Association, president, Dr. Les Mathers, Rhonda Soules, JR Glover and Voting delegates Lee and Joy Kirby. The President of the World Shorthorn Council and Uruguay Shorthorn Association Dr. Walter Mario Damboriarena, orchestrated a tour of the Uruguay Shorthorn operations and led the conference. During the conference, the Conrad Resort also hosted the meeting of the World Shorthorn Council where Lawrie Willet from Australia was elected as President for a three-year term. Frank Mills of the U.K. is retiring after 17 years of service as Secretary of the Council. Voting delegates from the U.S. were Montie Soules and Lee and Joy Kerby. The next World Shorthorn Conference and Council Meeting will be held in 2019 in Australia, then on to Canada in 2022 and it will be held in the U.S. in 2025.